While the cloud features in BeerSmith are great for sharing data, there are times when you want to send some recipes, ingredients or profiles to a person via email or on a thumb drive. The BSMX file format in BeerSmith makes this easy to do. Some web sites also provide BSMX files as downloads for their recipes, ingredients and profiles and the below tutorial will explain how to work with these. Fortunately it is very easy to export recipes, ingredients or profiles in BeerSmith. I’ll start with a recipe. From My Recipes view, simply select the recipe, folders or recipes you want to export. You can hold down the Control (Cmd on Mac) key while clicking to select multiple items, or if you hold down the shift key you can select a range of items. You can also go to Edit->Select All to select everything. Once you have the recipes selected, go to File->Export Selected which will bring up the familiar save dialog so you can give the BSMX file a name and save it to a location on your drive. This BSMX file is the one you want to mail or put on a thumb drive to share or import the data on another computer. You can also select the File->Export All command if you want to save evertying in the current view. While I used the My Recipes view as an example above, you can actually export ingredients and profiles as BSMX files as well. The process is the same, except you need to start from one of the Ingredients or Profile views and select the ingredients or profiles you want exported. These also get saved as BSMX files and can be imported into the respective Ingredient or Profile view on another computer. 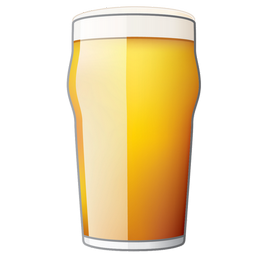 After you’ve transferred the BSMX file you exported above to another computer either via email, a thumb drive or network, you need to open it in BeerSmith and save the data for further use. To open a BSMX file in BeerSmith, go to File->Open File and navigate to the file you want to import. When you open the file, it will open in a separate tab within BeerSmith with the name of the file shown on the tab. Within that open file tab you can view and edit the data, but if you save changes they will only affect the BSMX file. In most cases you want to copy the recipe or other data into BeerSmith for later use. To do this, navigate to the open tab with the name of the file on it. Next select the folders or recipes you want to copy from that tab and use the Copy button to copy the data to the clipboard. Next navigate to your own personal My Recipes view and Paste the data. This will create a permanent copy of the recipes you just imported. Once you have copied the data over you can close the BSMX file tab. BeerSmith will ask if you want to save the data back to the BSMX file, which you rarely need to do unless you are trying to edit the BSMX file itself. The same process works for importing Profiles and Ingredient BSMX files. Simply open the file, select the data you want to retain, and copy it to the appropriate Ingredient or Profile view for that data type. So if I was importing a BSMX file containing hops data, I would want to open the file, select the hops I want to keep in that file tab, and then Copy/Paste the data to my Ingredients->Hops view which would store it permanently for future use. Though rarely needed, you can actually open a BSMX file in a separate tab and start editing items in that tab. So, for example, I could open a BSMX file (using File->Open) and then copy/paste another recipe I forgot into it. Keep in mind that changes made in an open file tab will only be saved to that BSMX file. Also when you close the file tab you do need to tell BeerSmith to save the data back to the BSMX file (it will prompt you) or it will be lost. I hope the above tutorial gives you additional options for sharing your BeerSmith data. I also encourage you to read this article on cloud sharing which is a simpler way to share data with other BeerSmith users via the BeerSmith cloud. Thanks for joining me on the BeerSmith Home Brewing Blog. Be sure to sign up for my newsletter or my podcast (also on itunes…and youtube…and streaming radio station) for more great tips on homebrewing.